Are your teeth discolored, worn down, chipped, or broken? 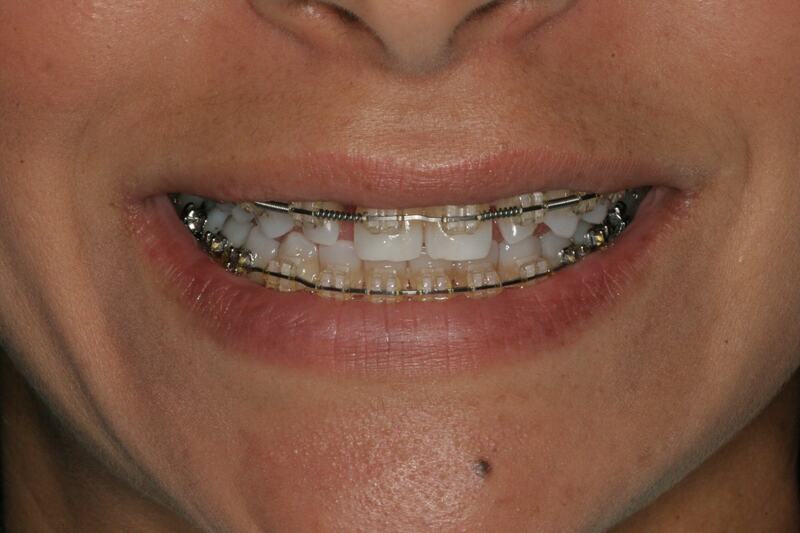 Do you have misaligned teeth, irregularly shaped teeth, or gaps between your teeth that bother you? Have you tried teeth whitening products with limited effects? 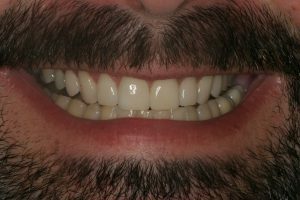 Veneers are used to improve the appearance of a wide range of flaws and make a huge difference in your smile. If you’d like to learn more, Dr. K has done hundreds of veneers with great success. Veneers are incredibly thin shells that are custom made to cover the surface of your teeth to improve appearance. They are tooth-colored, and composed of porcelain which is nonporous. 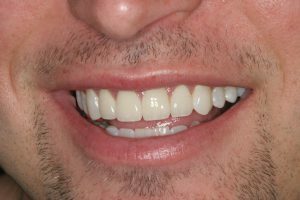 Porcelain veneers are more durable to stand up to daily wear and tear, and look more realistic than resin veneers. Since the veneers are bonded or literally glued to your teeth, they are permanent. Veneers can give you more reasons to smile. You begin with a consultation, dental x-rays and basic inspections to determine if veneers are the best option for you. The next step is to come in for preparatory treatment, in which a minimal amount of enamel may be removed from the surface of the tooth, which will later be replaced by a veneer. Then we take impressions of the teeth and send to our lab to construct the veneers. 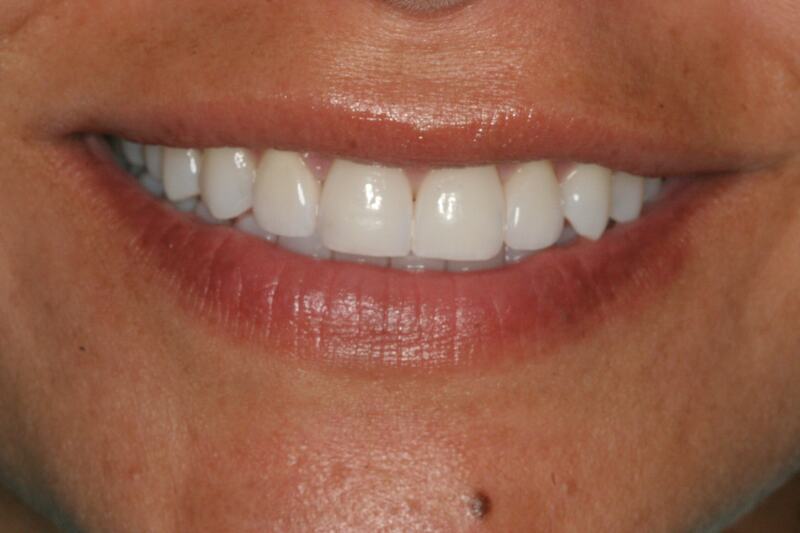 The completed veneers arrive in 1-2 weeks, however you can wear temporary veneers if you would like in the interim. Before we permanently attach the veneer your tooth, the veneer will be examined to ensure that it is the correct color and shape for your teeth. It will be trimmed if needed. Each tooth is cleaned and polished prior to bonding to the teeth, and all excess adhesive is removed. We evaluate how everything looks and schedule follow-up appointments over the next few weeks to monitor the veneers’ position and the gums’ reaction to the veneers. If you are self conscious about your teeth or smile, get in touch with us to set up a consultation appointment with Dr. K to see if veneers may work for you.